It is that time of year again! Time to get a jump start on your family portraits. The kids are come for the summer, the days are longer, everyone looks rested and tan, now is the perfect time to book your family portrait session. Our Christmas in July special includes a full length portrait session in the location of your choice, 25 holiday cards or (1) 4×6 digital file and an 8×10 art print all for $299 (a value of $400). This summer is busy, busy, busy for me, so I will have a more limited schedule. In fact, the studio will be closed from August 18 through September 2. All appointments will be first come, first serve, so book early. To get a better idea of all of the wonderful locations we shoot in around orange county, take a moment to look through our location guide at the bottom of this blog post. To book your session, please send an email to kristin@blueskysstudio.com. We look forward to photographing your family! 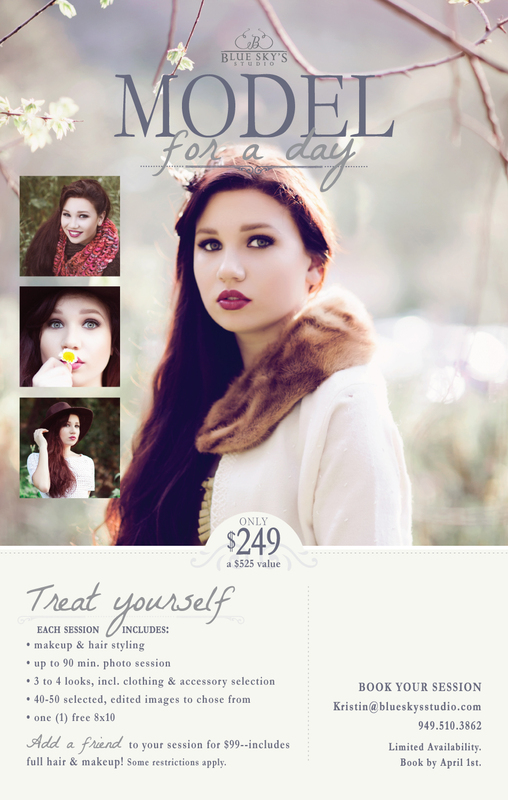 Ever look at a friend’s stunning photo and think, gah, I want a nice headshot like that? Life is busy, it can be hard to find time to treat yourself. But that’s what our Model for a Day promotion is all about–finding the time to spoil yourself, or your daughter, your mom, or even a friend. 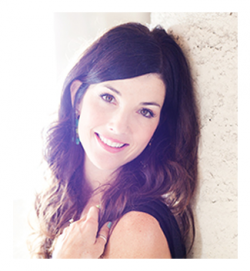 Our goal is to bring out your natural beauty, with a little help from a stylist, a makeup artist, and me. It’s almost that time of year! 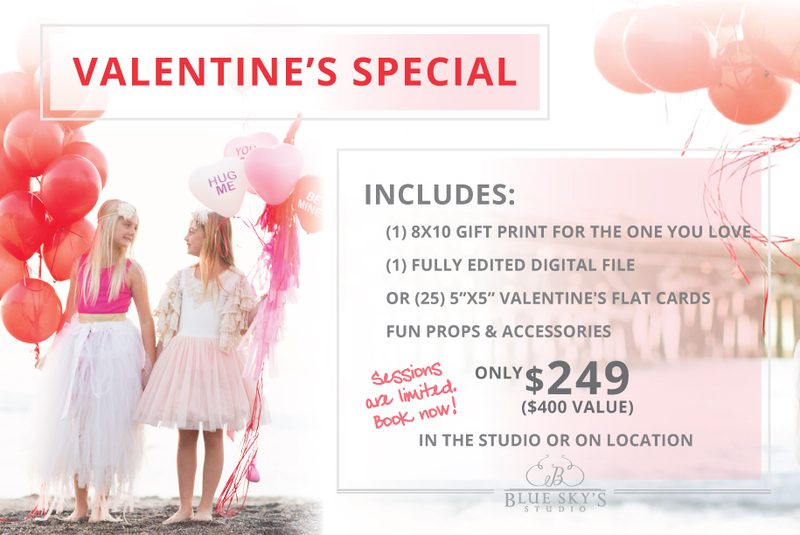 Get ready to wow the ones you love with a beautiful Valentine’s themed session. Book by February 14, 2016 to take advantage of this offer. A few weeks ago we launched our first ever Best Photo Idea Contest. This was a fun one to read the entries–so many awesome ideas. It was truly hard to pick just one winner, but alas, it had to be done. The Best New Idea was: Coast to Coast by contestant: Sondra B. This lucky contestant and her family have won a FREE photography session plus $200 photo prints credit. Congrats! I am so excited to share with you this beautiful video of the Blue Sky’s Experience created by @connerbrashier! He is absolutely amazing! Hope you enjoy the video. And a big thanks to the wonderful families who starred in this production.